The thing about corporate gifts is that they’re often one-offs, easily forgotten and not as memorable. Sure, the bead necklace looks great, but then it gets lost in the shuffle, and you’re not delivering a lasting impression for your clients, colleagues or employees. So what do you do? How do you go that extra mile, show appreciation, improve the company morale, and leverage customer satisfaction beyond that of product/service excellence? You Take Advantage of the Newest On-Demand Model Sweeping the Nation — Inject It Into Jewelry, or Simply a Bead Necklace or Two! Why not? It’s definitely a big push that’ll go miles for your clients. Your employees would love it, too. And, definitely, you’ll expect some rave reviews and a lot of awesome word-of-mouth advertising by doing what can only be considered the “on-demand” method. Let’s explain. You’ve heard of Netflix, right? How about the Dollar Shave Club? Even companies like Golden Gate Organics in the organic grocery industry employ the on-demand method to great effect — but what really gets people going with this type of business is that you’re often not just getting one product — you’re getting several. Usually in a box. A nicely wrapped box. And that’s the cherry on top. It’s about the presentation. If you’re looking to leverage bead necklaces as a great corporate gift, pair that with other awesome items and present it all in a box, similar to the on-demand format, and even personalize all those items. Jewelry’s great when it’s in a package. You’ve got a bead necklace here, and other there. You’ve got several styles. Maybe a ring or two, or a chain. The point is you’ve branded all of it, and the value’s on the uptick in a big way. It’s no longer a small little box with one bead necklace — it’s a package deal, and that automatically makes the value of such a corporate gift that much better. The fact is you’re still doing this regularly. So it might as well be called “on-demand.” Your employees (chances are they may all be female) will continue getting nifty boxes with jewelry, branded just for them and the business, every Christmas, July 4th, or any other holiday. It’s on-demand…except they don’t have to pay for it! It’s free. Try and tell me that won’t make a client, colleague, customer or employee smile from ear to ear. Visit BRAVA Marketing and see for yourself. Check out our designs right now. Contact us! 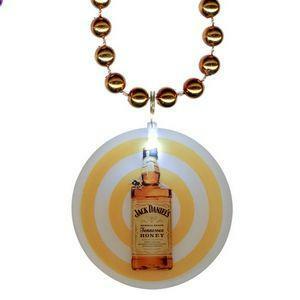 And start stocking up on the best promotional bead necklaces money can buy.